AIDA64 Extreme Edition (anteriormente Everest Ultimate) es una herramienta de diagnóstico del sistema. Sucesora de AIDA32 y Everest Ultimate, AIDA64 es compatible con todas las versiones de Windows, desde la 95 hasta la 7. AIDA64 Extreme Edition (formely Everest Ultimate) - Industry leading system diagnostics and benchmarking solution for enthusiasts PC users, based on the award-winning AIDA Technology. Exhaustive details of system information on 100 pages including CPU, FPU, disk and memory benchmarks, advanced hardware monitoring and diagnostics capabilities. 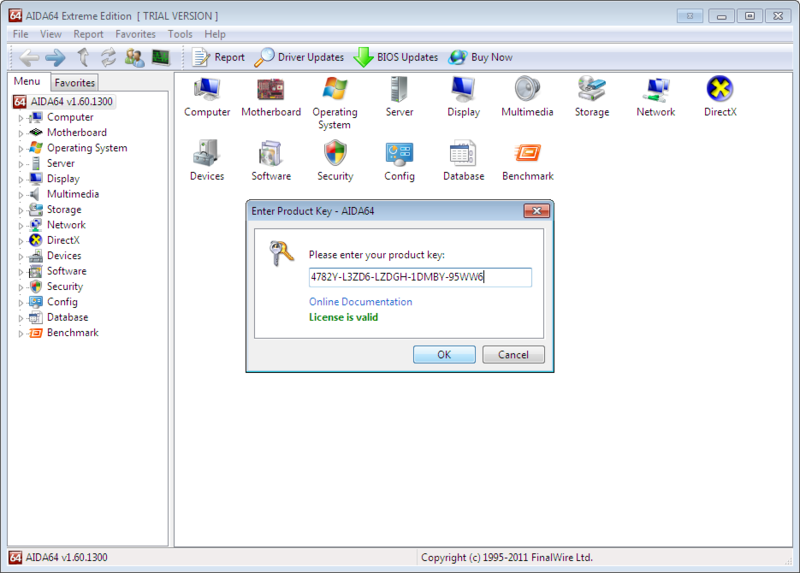 AIDA64 Extreme Edition is a streamlined Windows diagnostic and benchmarking software for home users. AIDA64 Extreme Edition provides a wide range of features to assist in overclocking, hadware error diagnosis, stress testing, and sensor monitoring. It has unique capabilities to assess the performance of the processor, system memory, and disk drives. AIDA64 is compatible with all current 32-bit and 64-bit Microsoft Windows operating systems, including Windows 7 and Windows Server 2008 R2. 4 Response to "AIDA64 3.20.2600 Extreme/ Business Edition (UPDATE)"
A buenas horas lo poneis...esta versión salió hace más de un mes pencos. La version portable tambien necesita el keygen? ?